Media interest in IPSO’s scientific findings has been high. The following case study illustrates its success in disseminating the results of the State of the Ocean workshops globally, to a variety of audiences, ensuring maximum impact. 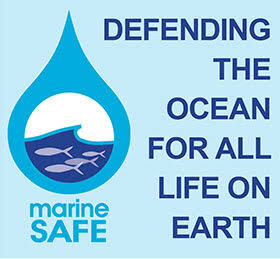 IPSO’s first major report on the state of the global ocean was released to overwhelming international media interest on 20 June 2011. The report’s release was one of the biggest environmental news moments of recent years, with almost 1,400 individual media hits (journalist authored as opposed to re-publishing of agency reports or press release) in 79 countries, and coverage by the major international news broadcasters and online news providers (CNN, BBC, ABC, CBS, Al Jazeera, Euronews) as well as the world’s leading broadsheets (e.g. New York Times, the UK’s The Times, The Guardian, Le Figaro, Die Zeit, La Stampa, Times of India, O Globo, China Daily). In a media atmosphere seemingly inured to the impact of climate change science, the ‘oceans angle’ achieved powerful punch-through. Click for examples of the coverage and an idea of the media reach. The coverage unlocked a series of potent political opportunities to engage decision-makers and present the scale and gravity of the findings. The report’s lead author Professor Alex Rogers presented an overview of the findings at a key meeting on high seas governance at the United Nations in New York. The UN Environment Programme (UNEP) sponsored a press conference on the launch of the report. In July, Professor Rogers was invited to brief British Members of Parliament on the report’s conclusions. In the United States, Senator Sheldon Whitehouse, Democratic Senator for Rhode Island, presented the findings on the floor of the Senate on 13 July 2011 in support of bipartisan legislative effort for a National Endowment for the Oceans. In the UK the report was fully endorsed by the industry body Seafish Authority and the then UK Fisheries Minister Richard Benyon cited its importance at an OSPAR meeting on ocean pollutants. The British Labour Party leader Ed Miliband’s special envoy on climate change and the environment, Barry Gardiner, attended the workshop and briefed officials at the Department for Environment, Food and Rural Affairs on its content. The 2011 IPSO report release achieved its central objective: to generate global, opinion-changing coverage. It established IPSO’s reputation as a robust source of the latest science on ocean health, contributing to raising the oceans as an issue in all fora (most notably RIO+20 in 2012, and the most recent UNFCCC Climate reports) and, in particular, to making ocean health a firm part of the climate debate, the debate on food security and the debate on land use. The twelfth meeting of the UN Open-ended Informal Consultative Process on Oceans and the Law of the Sea (Consultative Process or ICP-12) 20–24 June 2011, at UN headquarters in New York.